I have something super fun in store for today! I'm giving away a $500 store credit to one lucky winner! I know that sometimes the holiday season can be hard and money can be tight. I wanted to give one person a chance to buy gifts for all the ladies on their list! Enter below on rafflecopter and I'll announce the winner next week. I like the single-stone bubble necklace! Sweet & simple. I still love the bubble necklace and get compliments on my students all the time. Thanks for being such a sweetheart and offering a nice giveaway! I love the new waterdrop necklaces! In love with my bubble necklace! I think it's incredible all the giveaways you've been having - such a blessing! I love the tear drop necklace. I've been wanting one for months! well woudln't that just be wonderful. I have a few of your necklaces- the gold with three circle stones is my favorite! You're so kind! Would love the waterdrop necklace for all my favorite ladies! the crystal gem necklace is my favorite! thanks for the giveaway! The grey teardrop necklace is beautiful! I'm loving the red necklace that you posted on instagram the other day! So beautiful! I love the yellow teardrop necklace! I've been swooning over your waterdrop necklace lately! This is such a great giveaway. This would help me to bless some of the girls in my dorm that I know need a little holiday pick me up! I like the waterdrop necklaces! I love the light pink tear drop!! I love the holiday red teardrop necklace!!! waterdrop necklace in light blue! Love the waterdrop necklace!! Probably light blue the best. I love the water drop necklace!! i love the single stone necklace as well as the triple stone! I Love the crystal and the gem necklaces. Oh and the GOLD statement necklace is amazing!! Anything with pink I Love! Love your water drop Necklace! I love the simple 3 stone necklace in navy! Classic! I love the teardrop necklace, and the white would be so cute with darks fire the winter. The gray teardrop necklace is my favorite. I got my 3 bubble necklace in mint today, and I LOVE it! I'm excited to wear it! I'm loving the coral fan fringe necklace! I am soooo looking forward to purchasing some of your gorgeous pieces for some of the most gorgeous ladies I know- my family! I am in love with the new water drop necklace in pink!!!! It's perfect in many colors!!!! I love the bubble necklaces!!! Thanks for the chance! i really like the tear drop necklace especially in light blue! Love everything, especially the bubble necklaces! Teardrop Bib in hot pink! The new waterdrop necklace is beautiful. I love the teardrop necklaces, especially because of the ribbons since my skin is a bit sensitive to metals. I love all the tear drop necklaces! 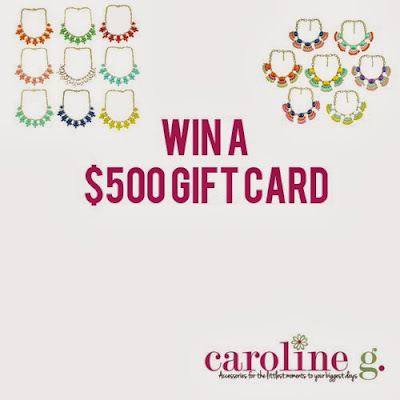 I would love to win this gift card to buy all my best girls some sparkle for the holidays !! This would be an ABSOLUTE blessing. 3 months ago, just 20 days before my 3 year anniversary, my fiance ended our engagement. I was broken.. emotionally, spiritually, mentally, and physically. If it weren't for the support of my family and friends, I would not have made it through the grief and heart ache. It is still a day to day struggle, but I have chosen to be happy. To move forward with a smile on my face. This gift card would be such a wonderful way to show them how much I appreciate them.. How much I love and adore them! They deserve to know that I think they are absolutely wonderful human beings! I love the Teardrop Necklace in Emerald!